Well, that definitely crosses otters off the list of potential pets, *shudders*. This was really quite a fun read and I thoroughly enjoyed the hilarity of the Doctor’s character. Martha was also fantastic in this one. A perfect Doctor Who-y story! I really did enjoy this book. It was just the right amount of adventure and weird all rolled up into one to be a good Doctor Who story. If you’re a fan of the TV series then you’ll absolutely, definitely like this one. Interestingly, I found reading a Doctor Who book and being inside of Martha’s head made me like her more than watching her character on the TV. 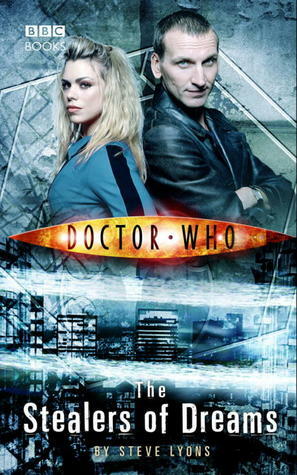 If you don’t know, the Doctor Who books are completely different and new stories to those that are shown on TV. They do reference some things that happen in the show but can be read independently of it. The show never refers to any of the events (as far as I’m aware) that occur within the book series. These stories are basically bonus content for Doctor Who fans and anyone else who’s curious. The story is all about the action and thrill of nutting out what’s gone wrong – so there’s no time for the doe eyes Martha likes to give the Doctor, which is great. It’s silly comments, ridiculous insults, and crazy creatures on every page. The only thing that I didn’t like as much in this story was how much time the Doctor and Martha spend apart – this happens plenty in the Doctor Who stories but I do prefer it when they get to work together a bit more. 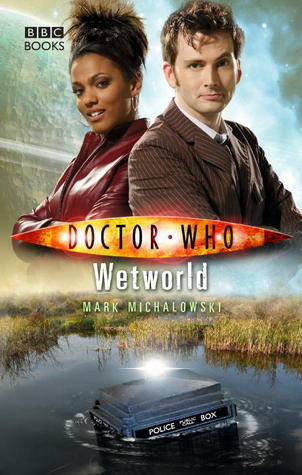 Wetworld is about a planet named Sunday where scientists and the like have tried to colonise. Things went wrong, and after a great flood a good portion of their population has been wiped out. When the Doctor and Martha arrive (despite attempting to go to New York) the TARDIS gets stuck in a bog sort of thing and the Doctor runs off to get help – leaving Martha to get taken away by some other life force. A bunch of things happen and the mystery as to what this life force is that took Martha thickens – with the aid of some clever scientists and strangely intelligent otters, the Doctor begins to work out just what has been going wrong with this planet. The story is really fun, fast-paced, and full to the brim of hilarious Tennant moments. I also really enjoyed several moments that referred back to the TV series, itself. If you’re a fan of Tennant’s Doctor then you can rest easy because Michalowski has does a brilliant job of capturing his character here. All of the silly little comments and eyebrow action was on point – even Tennant’s particularly alluring way of putting on and taking off his glasses was great (or perhaps that was just my imagination . . .). He’s funny and brilliant and not afraid to put himself in harm’s way to save the humans, as he so often does. Martha’s character was also done really well. I could completely imagine Freema Agyeman acting out all of Martha’s scenes and I loved the sort of passive competition between her (being an almost-doctor) and the other scientists around. She was really awesome in this story and brought a lot of life to it. Overall this was a really enjoyable Doctor Who story and I’m glad I picked it up. It puts Martha’s character in an excellent light and was greatly entertaining the whole way through. 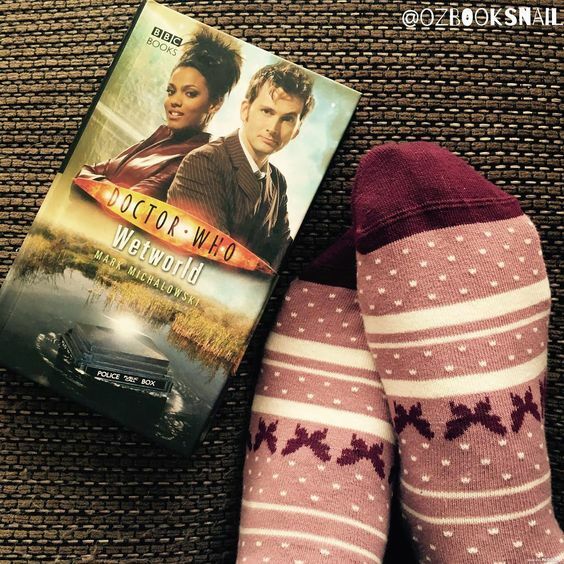 If you’re a Doctor Who fan, then I definitely recommend this book to you – even if you’re not keen on Martha (as quite a few people aren’t) because this story is all about the adventure and fun to be had rather than the relationship between the Doctor and Martha. 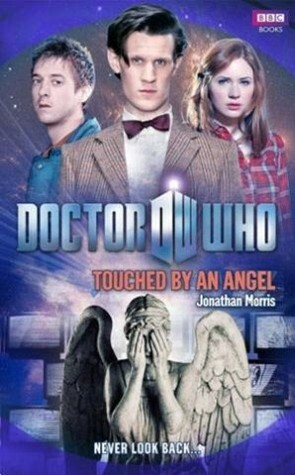 If you want a Doctor Who adventure with Amy, Rory, and the Weeping Angels, Touched by an Angel is for you. 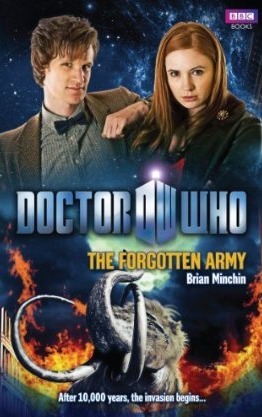 If you like Doctor Who stories with particularly interesting plots + strange creatures, The Forgotten Army is for you. If you prefer the company of Rose and some crazy adventures, The Stealers of Dreams is for you.